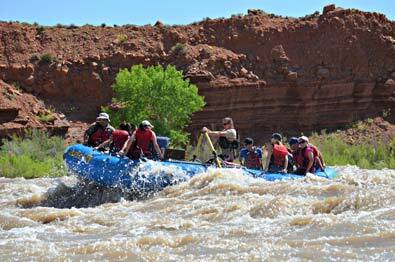 Half and Full Day River Trips from Moab... March through October. Jeeping Year Round. 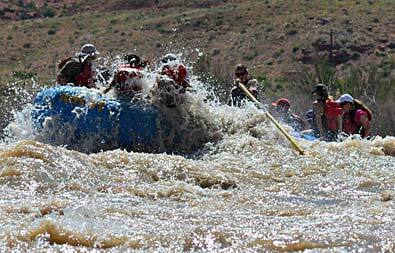 Enjoy a fun-filled day on the Colorado River. Choose between our morning or mid-dayhalf-day river trips. For those who would like to stay all day, you may find our full-day trip attractive. 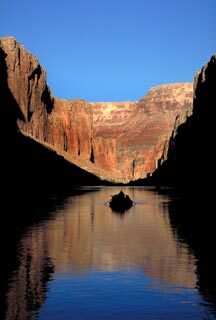 Whatever your choice, you'll enjoy the spectacular scenery as well as the Colorado River. Meet at our office at 8:15 a.m.; return about 4:30 p.m. MORNING HALF DAY TRIP - leaves at 8:30 a.m.
Meet at our office at 8:15 a.m.; return about 1:00 p.m.
Meet at our office at 11:15 a.m.; return about 4:30 p.m. This proposed Wild and Scenic River is totally isolated from modern civilization. Westwater Canyon is a canyon of serene solitude surrounded by red sandstone spires. The river cascades through the ever-deepening sandstone monuments and into the narrow Black Granite Gorge. Here the river meets opposition from the canyon walls creating the fast and furious rapids such as Funnel Falls, Last Chance, The Steps, and of course, the infamous Skull Rapid that give Westwater its reputation of highly exciting rafting trips on the Colorado. 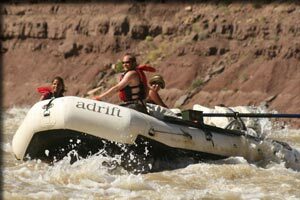 This trip is designed for adventure seekers and canyon lovers and especially those looking for great rapids on a remote and regulated river. 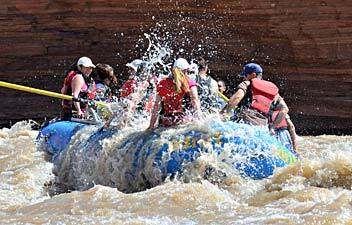 The number of people allowed to run the Westwater Canyon is strictly regulated, therefore, keeping the number of people on the river to a very small amount. This will allow for a better chance of seeing wildlife and just experiencing the true remoteness of the Westwater Canyon. 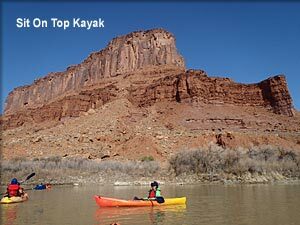 JEEP AND RAFT- 7:00 a.m.
Meet at our office at 6:45 a.m.; return about 4:00 p.m.
Kayak through the calm waters of the Colorado River just outside of Moab, Utah. 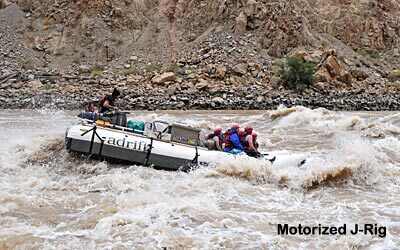 Option of single and tandom kayaks available for a leisurely float through geologic time amongst the pristine canyons of the Colorado River. Novice to experienced paddlers can enjoy the great outdoors as guide's will teach you the proper techniques for an enjoyable half day. This moderately easy hike is 2 miles long & approximately 3.5 hours. 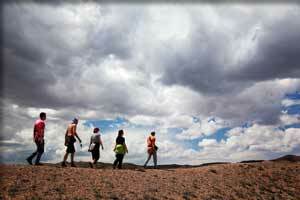 The trail follows a perennial clear steam through a deep sandstone canyon among willows and cottonwoods. This trail ends at Morning Glory Natural Bridge, which is 243 feet long and the sixth longest natural rock span in the United States. Great for children 8 and up. This fairly easy hike is 1.5 miles & approximately 3 hours. You will be hiking up Bootlegger Canyon with beautiful scenery of both Corona Arch and Bow Tie Arch, with views of the Colorado River. Great for children 8 and up. Meets Daily: 7:30 a.m. Departs: 7:45 a.m. Experience paddle boarding in a new and fast growing way! 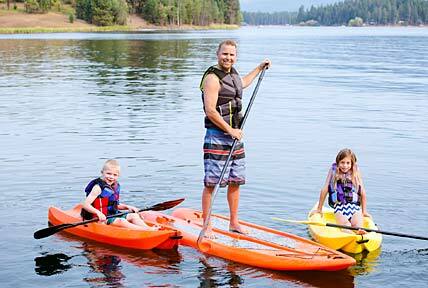 Paddle, swim, and relax as you travel down a calm stretch of the lake or river. 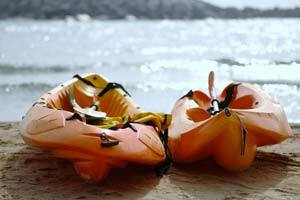 Transportation, board rental, instruction, guide, snacks and water are included. Approximate time on the river/lake is 3 hours (time may vary based on water levels). 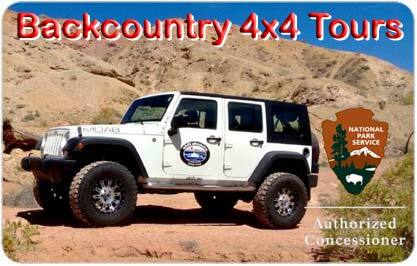 8.6% sales tax and $3.00 BLM Departure Fee Not Included In Trip Prices where applicable.